Integrating manufacturing floor systems to ERP systems used to be reserved for the largest companies with the deepest pockets. Over the last 10 years, more and more of our customers are taking advantage of integration projects to increase their efficiency and reduce error rates. These projects have ranged from very basic to complex, and have varying ROI’s depending on what is being automated. In article, we’ll take a look at two integration projects: silo scale or meter integration and the finished goods scale. One of the most popular integration projects takes place at the silo level, monitoring all of the incoming and outgoing dairy liquids: milk, cream, whey, and dairy blends are constantly monitored as they are brought in and shipped out of the plant. Traditionally, this information was captured by staff in the loading bays and relayed to the office via excel spreadsheet, or hand written on a piece of paper. This delay in information caused much of the production information to be at least a day behind in the company’s information system. The office staff was then forced to look at reports on production that happened yesterday or even further in the past as they reconciled their components and tried to mass balance their plant to determine efficiencies. Automation happens during intake and unloading via one of two primary methods: scales or meters. We’ve had success with both approaches at over 50 of our customers. This success has been achieved with a variety of set-ups – some of our customers have scales in the yard or a guard shack with a check-in station, and others have a more simple approach. By working together with your scale/meter company we’re able to access the data and store it in a database, allowing for a wide variety of reporting. By integrating a scale to our Producer Payroll, Liquid Procurement, or Liquid Sales Modules more reliable real time information is provided to key staff members regarding not only the quantity of liquid, but its quality – and most importantly – its location. Records are automatically stored in the database as liquids move around between CIP cycles, ensuring that traceability is kept intact. For our customers, this process has provided more timely information, eliminated almost all paperwork, increased accuracy, and increased their level of comfort with traceability. Another popular integration point is at the finished goods scale. Used primarily by our powder customers, finished goods integration is a slightly more complex integration project that usually involves a scale, labeling system, and sometimes a palletizer. There are several different ways to accomplish this integration. Production information can be fed from DSI to the scale and labeling system, so that DSI is dictating production information, lot codes, and gathering the scale information to generate labels with the labeling system. Conversely, in some of our customer’s installations that relationship is completely reversed, where DSI is being fed information from a palletizer or scale labeling system. The key here is the ability to accomplish the same task a variety of ways depending on our customer’s needs. By automating the finished goods side of things, several items are accomplished. Labeling is automatic, aiding in better real-time inventory tracking. The ability to capture real time reliable production data is also improved, as production yield reporting is available almost immediately following a production run. Traceability is automated and no longer relies on the individual who is working at the end of the production line, increasing the company’s accountability for their product. Integration projects can be large or small, but there is no doubt that they have had a positive impact for our customers. The benefits of tying multiple systems together to achieve a more consistent reliable standard operating procedure help employees both on the floor and in the office. As DSI’s customer base has grown over the years, so have our integration projects. While many of our customers have seen success with the more traditional integration projects, others have pushed themselves to be on the cutting edge of dairy processing – with an intense focus on milk (and component) accountability, these customers have taken the next step – pushing even further into integration projects. One of the core competencies of the DSI system is our ability to track components and the affect that those components have on your company’s bottom line. This topic was thoroughly discussed in an article “Why Doesn’t Traditional ERP Fit the Dairy Industry”). Taking this to the next level, several of our customers have tied their floor systems to DSI to provide more real time information on yields, shrink, efficiency, and traceability in every process zone of their plant. Previously for many of our customers, production data was entered into DSI at the end of a production run, the next morning, or in some cases even several days later. The office staff became accustomed to making decisions based upon information that was old – evaluating production runs that were sometimes weeks old to determine efficiencies and losses. By integrating their production floor systems into DSI, this time gap is eliminated, providing staff with real time information only seconds behind what is happening on the floor. In most cases, this is achieved by leveraging floor data systems – often the PLC / HMI controls that the operators are using to move milk throughout the plant. Tying these systems together also eliminates double data entry – removing a large portion of someone’s day, typing in data that had already been captured by another system. Error reduction is also a key in this process – it removes the requirement for the floor operators to write down production data and the chance that the office staff miss keys information based upon paper records received from the floor. Breaking down the plant into various zones areas of loss become more apparent. By reporting on the various parts of the plant, management is able to pinpoint areas for focus on improvement – whether that be updating new equipment, changings standard operating procedures, or retraining employees. When the area of improvement involved changes in procedures or staff training, the feedback and statistics from the real time reporting play a pivotal role – feedback is immediate and can show if changes are having their desired effect. Eliminating these causes of loss is generally a big factor in selecting a warehousing system for your ERP, as well as the other added benefits (reduced labor costs, less frequent counts, etc.). One of the ways our customers have handled this is to use a 3rd party inventory control system and integrate it to our ERP. This can come in several forms, for some of our customers it is a DSD type application, for others it’s an automated inventory robot that controls their entire warehouse. These systems all have their advantages and disadvantages, as well as associated costs. We see these more frequently with customers that deliver directly to retail, and believe it or not – some still deliver to homes! Others have used our barcoding system to bring their warehousing into real time. Pallets are recorded as production comes off of the line, scanned into inventory, and put away in their appropriate places. These systems generally have a lower cost than DSD type handhelds or full on inventory control systems, and they allow for either the office or the warehousing staff to take full control of the product moving in and out of the warehouse. For most of our customers, this step represents a forward leap compared to recording everything at the end of a production run or at the end of a shift / day. Giving your dairy business the edge it needs to be profitable through good plant management is a key to your business’ success. Using automation and integration to combine the strengths of your plant floor and reporting systems is a powerful tool to help you achieve your goals. 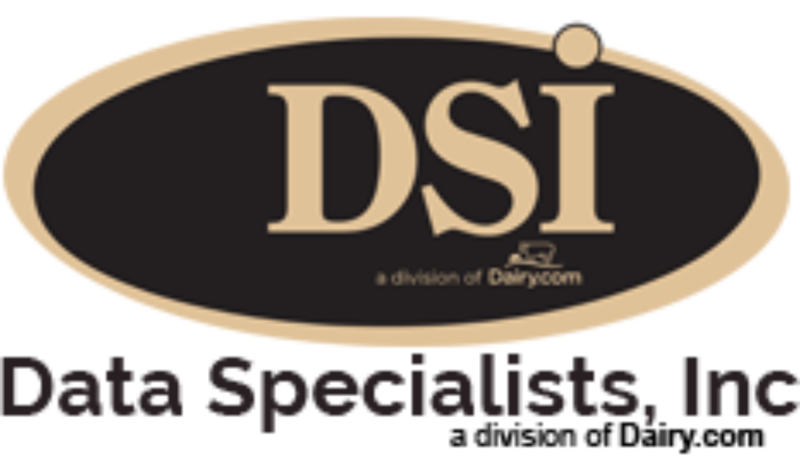 For more information on ERP software solutions and plant integration for the dairy and food, industries, please contact DSI at 262-723-5726.